All it takes to join is three easy steps. (SPOT.ph) Guys, if you still haven't taken part in the #CottonBallerChallenge, you're missing out! 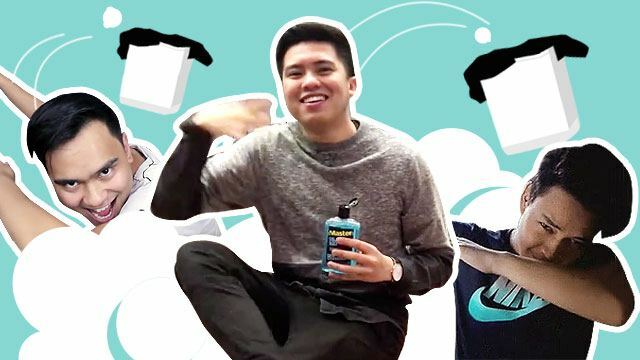 If you're a fan of social media and uploading your cool videos, this one's definitely for you. Besides, all the gwapo fellas out there have jumped on this bandwagon—you should, too! Tons of guys have been posting their #CottonBallerChallenge videos, and it's never too late for you to do the same! Just clean your face with a cotton ball soaked in Master, do a no-look shot when throwing it in the garbage, then do the "Gwapo Dab." Remember to set your post on public when you put it up on FB, Twitter, or IG, use the hashtag #CottonBallerChallenge, and tag three bros while you're at it. Easy peasy, right? Using various props is one way to stand out. The right backdrop really sets the stage for these videos. The one with the toy car: genius! Textbook bank shot right here. Adding supers to the video is a nice touch. Creativity and confidence will take you a long way. We’re counting on you to post your loudest and proudest #CottonBallerChallenge video for all to see!